Picture clear blue water beside the fiery red of Chinese dragons as they dance through town – Pape’ete in The Islands of Tahiti is the ultimate location for those who want to experience the festivities of Chinese New Year in paradise. Chinese New Year 2019 is drawing to a close and the celebrations on The Islands of Tahiti have been lively and enchanting - attracting visitors from around the globe. From vibrant parades to the Lantern Festival, Chinese New Year is an important time for the Chinese community living within The Islands of Tahiti. The tinito (Chinese in Tahitian) population have a rich culture that is highlighted from mid-January to mid-February with the official New Year beginning on February 5 in 2019. This year celebrating the Year of the Pig, it is a time to come together with your loved ones and commemorate all that has taken place and anticipate what is to come. 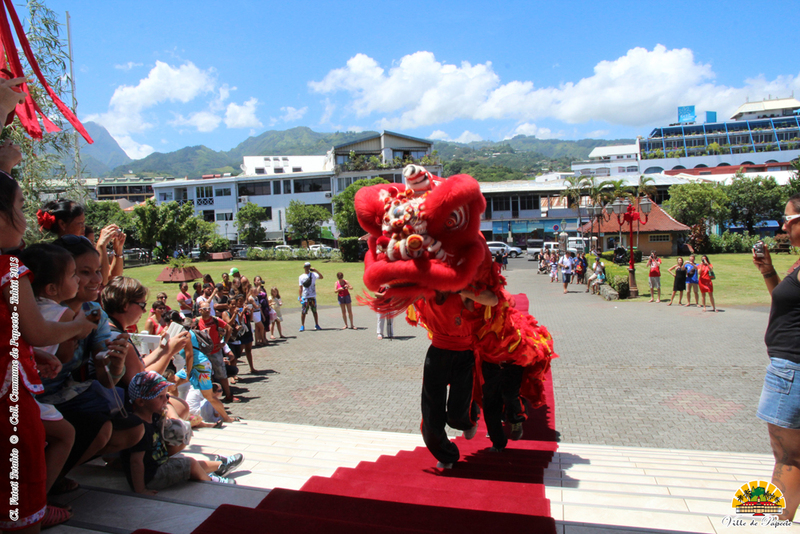 Chinese New Year celebrations on The Islands of Tahiti largely occur in central Pape’ete where Kanti de Mamao, the Islands’ only Chinese temple, stands. This stunning, traditional sanctuary was opened in 1987 and plays an essential role in the spiritualty of the tinito. Locals and visitors use the Kanti de Mamao before and during Chinese New Year to give thanks for favours over the past year and to renew protections for the year ahead. Tinito culture has been growing on The Islands of Tahiti for over 150 years, following the arrival of Chinese migrants to the cotton and coffee plantations in the 1800s. Since then, the community’s practises have been woven into the Tahitian experience. It is not unusual to find Chinese influence in the food scene with many Tahitian dishes adopting Asian flavours and spice, with a number of Chinese restaurants dotted around the islands. Chinese New Year on The Islands of Tahiti is an incredibly unique experience that you need see - get booking for next year.